Your ressources are precious and the future of your company depends of how you administer it. 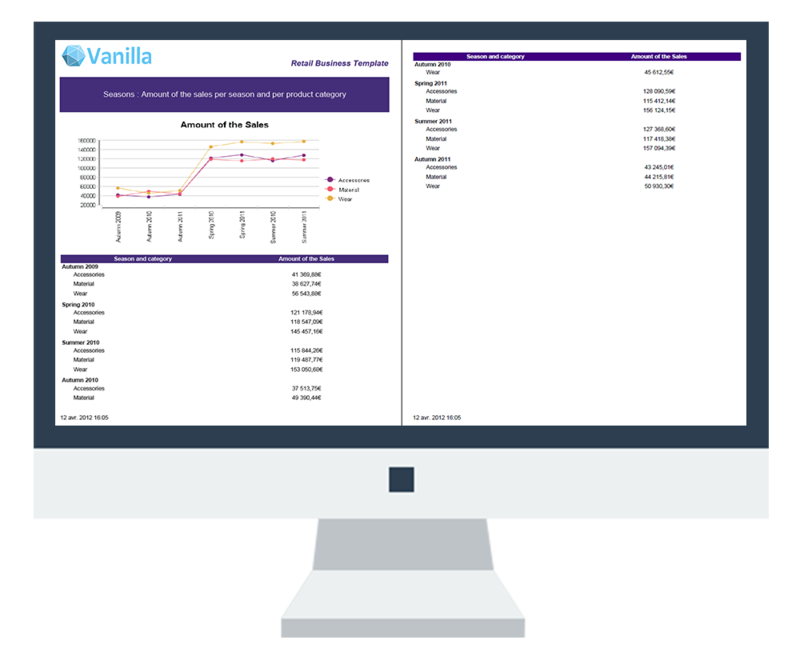 Vanilla Retail brings an overview on your differents services in order that your decisions be based on a complete and reliable information. Vanilla Retail is the retail oriented business intelligence solution which provides all the necessary analysis axis and performance indicators (KPI) to manage and perform your business. Thanks to our experience and the dialogue with our clients, we made that package on retail standards.